Some time back Thomas of Treetrunk asked artist Fosel if he would be willing to tackle Jade Furnace 2. Jade Furnace 2 was a release on Treetrunk by K.M. Krebs, that was also an open invitation for remixing. People were invited to listen to the pieces forwards, backwards, on shuffle, or to use them as components in their own remixes. It was this approach that Thomas urged Fosel to take. And how pleasing are the results! Fosel takes the molten material from Jade Furnace 2 and transmogrifies it into his own style, with sounds covering the spectrum of pitch and texture, and intriguing snippets of melody interspersed. Thomas of Treetrunk definitely loves what Fosel has done here– why not take the journey yourself? 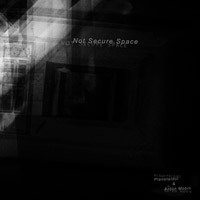 This is a nice space ambient/drone release by artist Kirill Platonkin. Kirill Platonkin comes from the far East of Russia. Where he lives, ambient music is not as popular, but as is obvious from the music, he both understands and appreciates it himself. We at Treetrunk really enjoy Kirill Platonkin’s e.p., and we hope you will, as well.